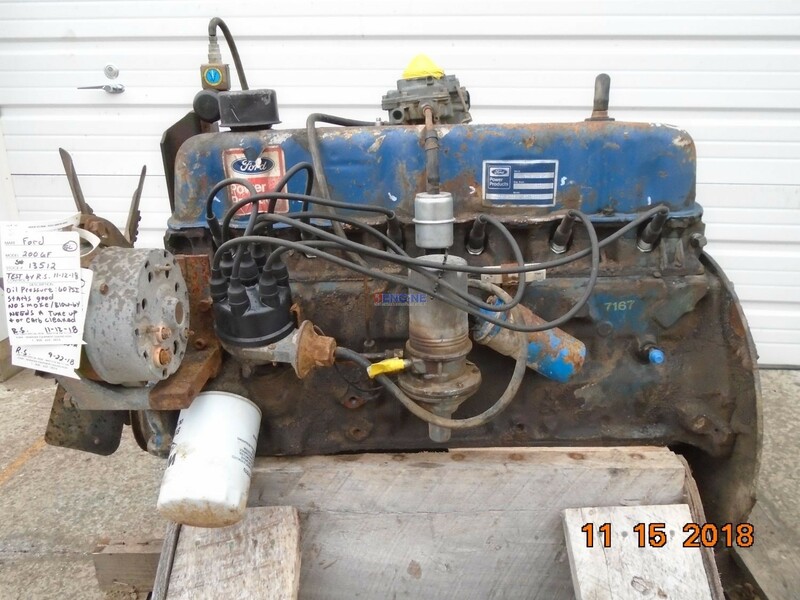 Ford / Newholland 200GF Engine Complete Good Runner 6 Cyl Gas MDN: 200GF-6005-A BCN: C8DE6015B Test ran 11-12-18: Good Runner with 60 psi oil pressure. Starts and runs good. No smoke and very little blow-by. May need a tune up/carb cleaned. See it run on video!! Compression Test: #1-125 psi, #5-125 psi, #3-135 psi, #6-125 psi, #2-135 psi, #4-130 psi. 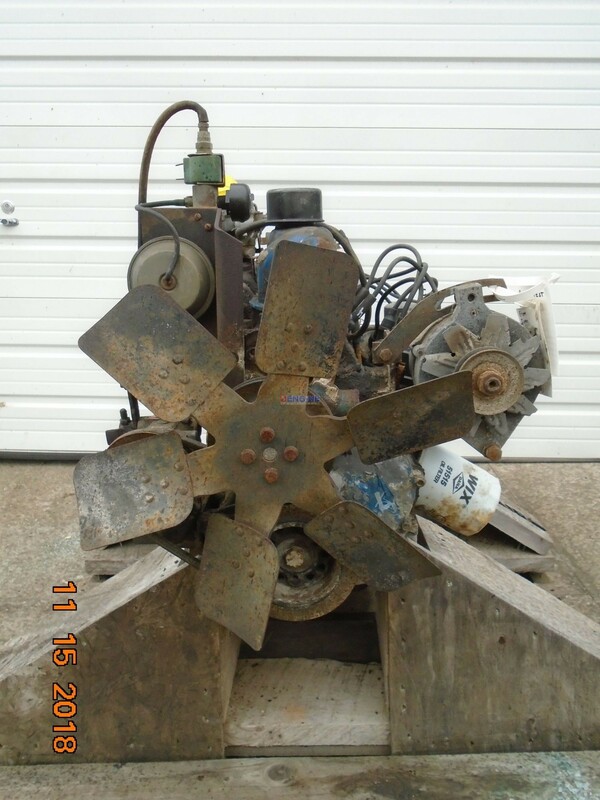 This unit ran a Lincoln welder. 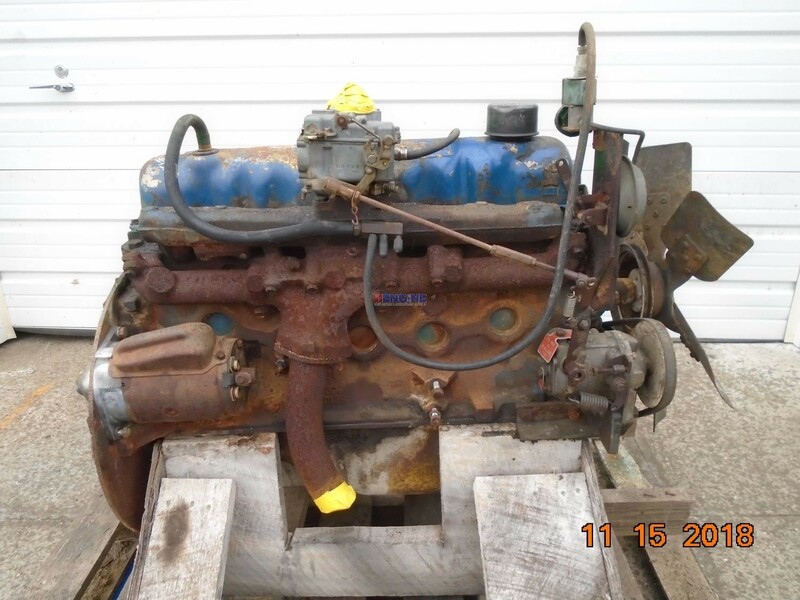 Test ran 11-12-18: Good Runner with 60 psi oil pressure. Starts and runs good. No smoke and very little blow-by. May need a tune up/carb cleaned. See it run on video!! Compression Test: #1-125 psi, #5-125 psi, #3-135 psi, #6-125 psi, #2-135 psi, #4-130 psi. 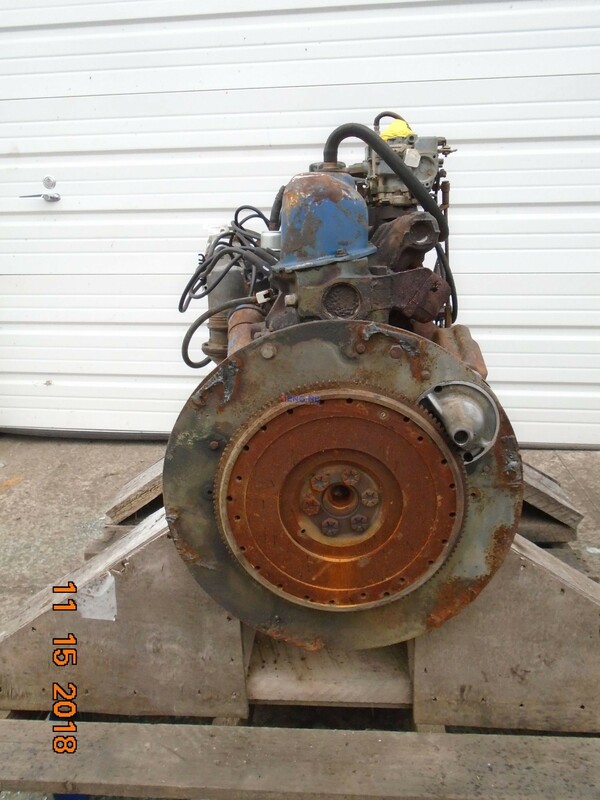 This unit ran a Lincoln welder. 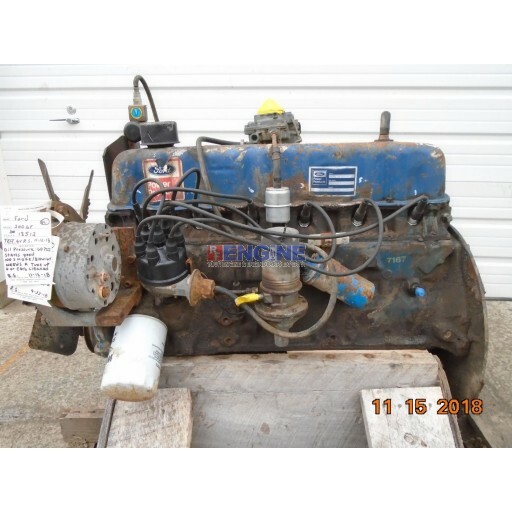 Ford / Newholland 200GF Engine Complete Good Runner MDN: 200GF-6005-A.